Bunny Cross Stitch Kit, a cute modern Easter bunny embroidery kit that's simple + easy! Ideal for first time cross stitchers! 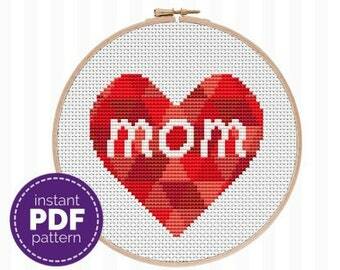 Mom Cross Stitch Pattern - this cute, modern cross stitch pattern helps you create the perfect DIY Mother's Day gift! 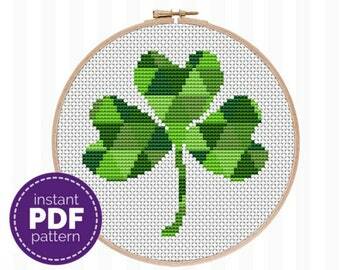 Good for beginners! 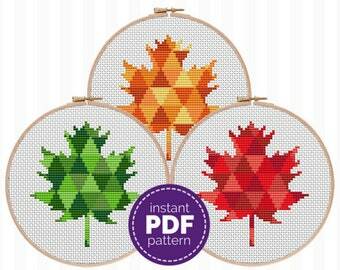 Announcement Welcome to Purple Leaf Designs! Welcome to Purple Leaf Designs! 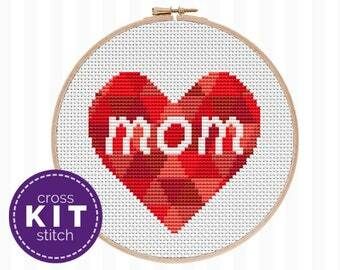 Mother's Day Cross Stitch Kit - everything you need to make this modern embroidery project! 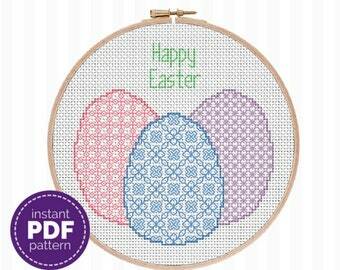 Beginner friendly + a great Mother's Day gift! 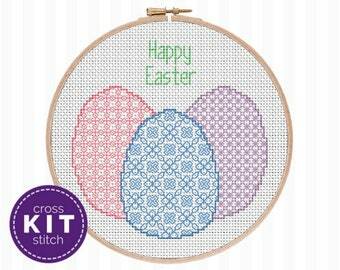 Easter Sampler Cross Stitch Pattern - this modern Easter cross stitch pattern is colorful + cute! 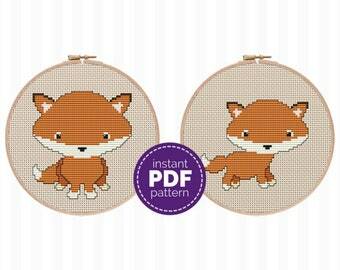 It's very simple + beginner friendly, too! Bunny Cross Stitch Pattern - learn to cross stitch with this cute modern Easter cross stitch pattern - it's easy + great for beginners! 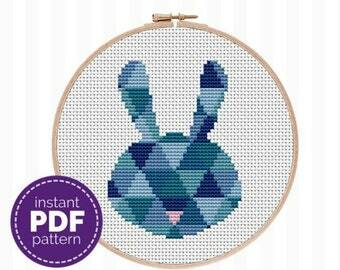 Easter Bunny Cross Stitch Pattern - this modern cross stitch pattern features a cute rabbit silhouette and geometric design! 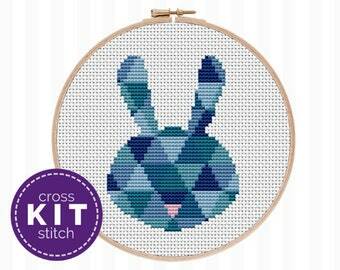 Modern Rabbit Cross Stitch Kit, a simple rabbit needlepoint kit that makes a great gift for anybody wanting to learn cross stitch! 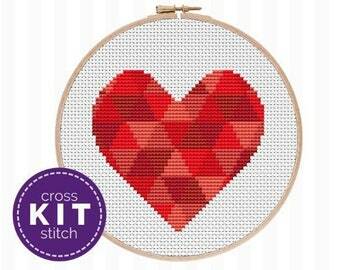 Valentine's Heart Embroidery Kit, a beginner cross stitch kit that's great for any skill level! Learn and stitch your own Valentine's decor! 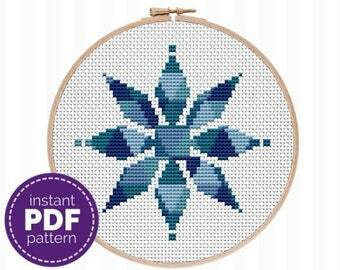 Modern Heart Cross Stitch Pattern - this simple geometric embroidery pattern is perfect to learn cross stitch and for creating DIY decor! 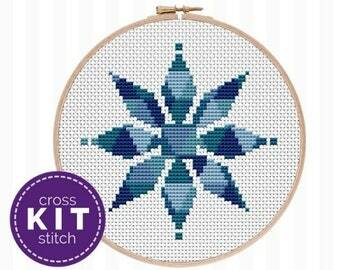 Modern Snowflake Needlepoint Kit, an easy cross stitch kit that's perfect for any skill level! 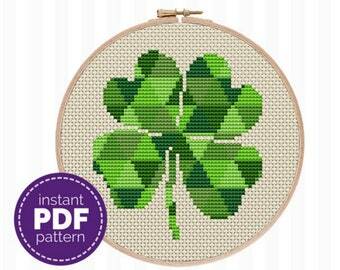 Makes a great gift for crafty girls! 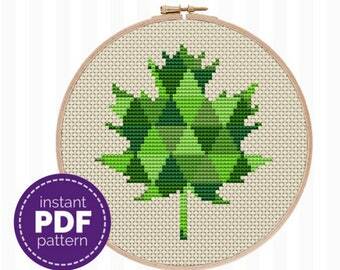 This was a fantastic pattern, easy to follow and I’m so glad to have purchased it. Thank you! 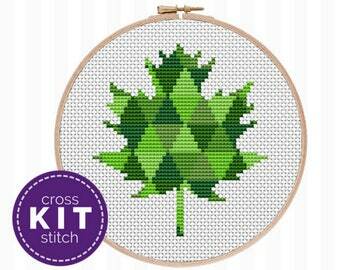 The kit was so convenient and the pattern was really easy to follow. I really enjoyed this project and am a little bummed I'm finished with it. Onto the next! I can only recommend this shop. 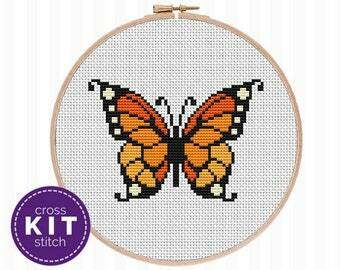 I was a little intimidated to start cross stitching, but I was determined to learn! This was my first attempt at cross stitching and the materials provided made the process so much easier than I anticipated! I definitely think I found my new hobby. Thank you! 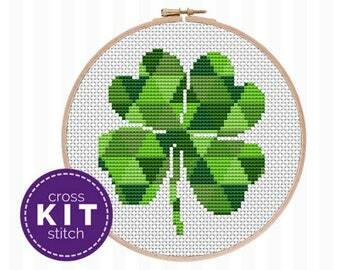 I believe cross stitching should be fun + enjoyable - that perfectionist stuff can be left at the front door! 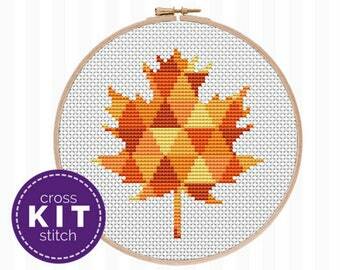 When you open your Purple Leaf Designs kit, you'll find everything you need to start cross stitching right away! 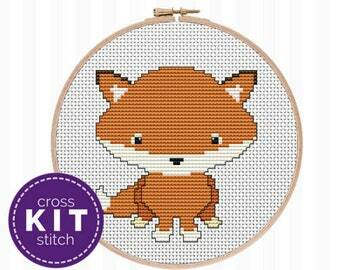 I taught myself to cross stitch nearly 25 years ago. Yup, I was only a kid. And kids think they can do anything. No self-doubt! But I learned before the internet was a thing – I had to figure out it all out myself. It might sound harder, but there was SO much less pressure! 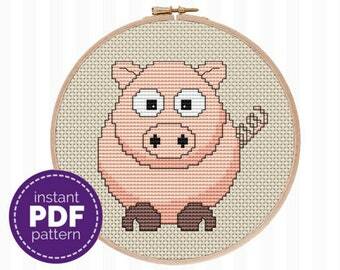 All I did was cross stitch, and it made me happy. And that’s the point, isn’t it? A hobby should make you HAPPY! So I reject all that perfectionist stuff. It’s useless noise that fills your head with garbage thoughts. 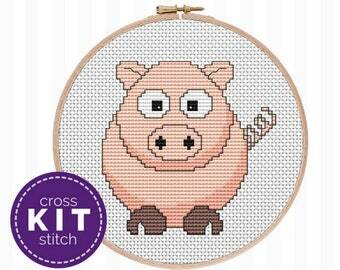 You don’t need to have been blessed at birth with crazy artistic talents to cross stitch. Seriously. Cross stitch is like connect the dots, but with a needle and floss. It’s inexpensive, and all the supplies are small. 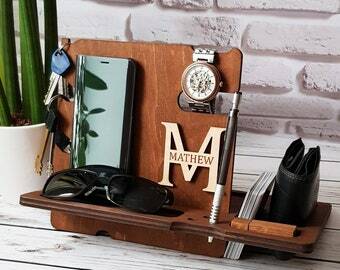 So if you don’t have a dedicated wing of your home to store supplies, you’ll be fine. You can easily buy everything you need for a starter project for $20 or less. 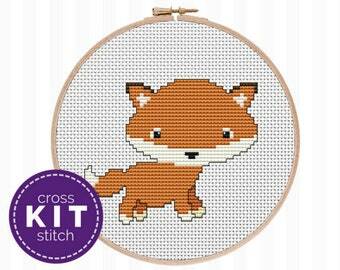 Cross stitch is a super relaxing hobby. It’s great when your brain needs to chill after a long day. Plus, you can actually feel accomplished while bingeing whatever’s new on Netflix! 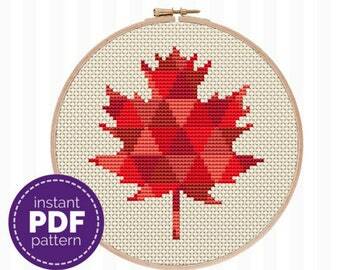 If you're ready to learn an amazing new hobby, I want to help! Check out the blog for some tutorials and browse the shop for a great beginner kit! Send me a convo if you have any questions! 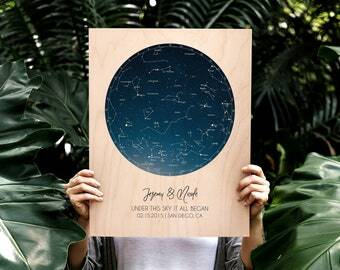 To fulfil your order, you must provide me with certain information (which you authorized Etsy to provide to me), such as your name, email address, postal address, payment information, and the details of the product that you’re ordering. 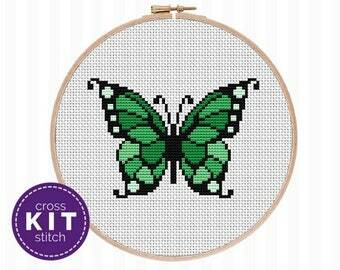 You may also choose to provide me with additional personal information (for a custom kit or pattern order, for example), if you contact me directly. I do not reside in the EU and your information shared with me is not stored in the EU. I will likely store and process your information myself and/or through third-party hosting services in the US and other jurisdictions. As a result, I will be storing and transferring your personal information to a jurisdiction with different data protection and government surveillance laws than your jurisdiction. 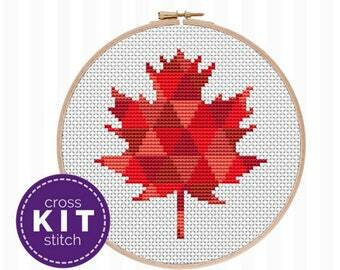 How many strands should I stitch with? I can't answer this for you. It's purely personal preference. 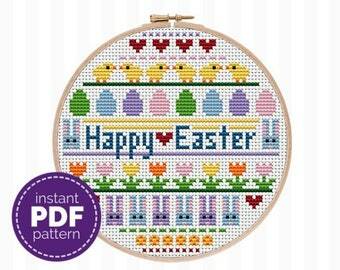 I like to use the loop start method, so I typically stitch with 2 or 4 strands. But honestly, you do you. 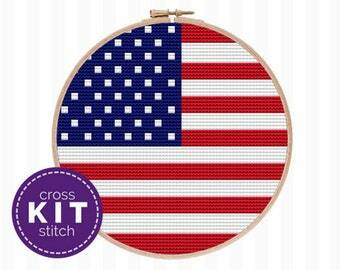 My kits are designed so that you'll have plenty of floss to use 2 strands. 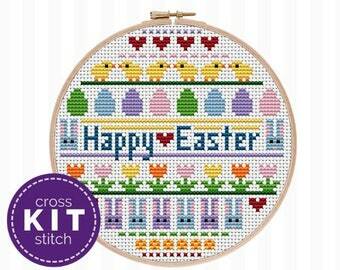 If you like to use more floss, convo me before ordering a kit so I can make sure you'll have enough to cross stitch the way you prefer! Do you offer expedited processing or 2 day shipping? If you need either expedited processing or express shipping (or both! ), please contact me before placing your order. 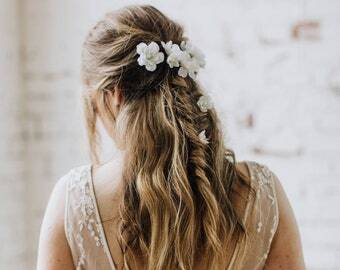 As long as I can accommodate your request, I'll create a custom listing for you that reflects the timing and pricing accurately.